Freecube is a new modular smart system which has been created specifically for Apples latest smartphones in the form of the iPhone 8 and iPhone X. Users can combine different stackable modules to create multifunctional cubes that can offer wireless charging, playback via a Bluetooth speaker, dynamic lighting and more. Watch the video below to learn more about each module which can be combined to provide a wealth of functionality depending on your requirements. It’s the best way to organize your mobile lifestyle at home or the office. Just like building blocks, by using a modular system; you can save space, money, and ensure your Freecube will always be updated with the latest technology. 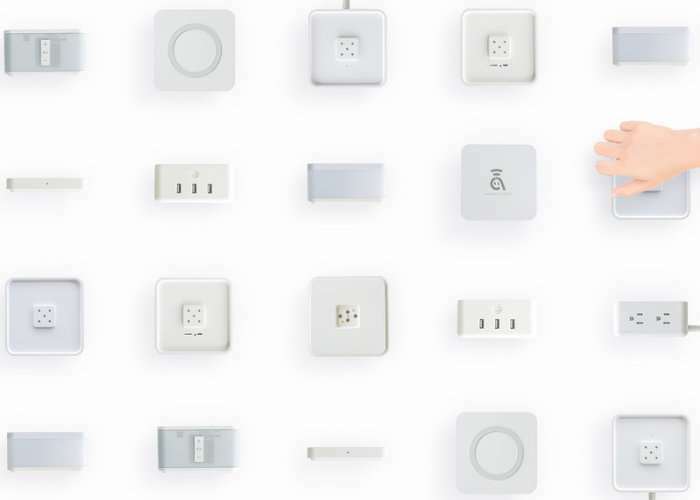 Stack up to 6 modules together to form your dream smart hub. – Keep all your devices charged with four surge-protected outlets and three USB 3.1 amp charging ports. Fully powered for your ipad or mobile phone. – Cable-free charging for both Apple and Android devices enabled with revolutionary QI technology. Designed for iPhone 8, iPhone X, and all Qi compatible devices. – Premium stereo and bass sound at home or take it with you on the go. Great for music, videos and even conference calls. Use together in the freecube tower or individually with its 2200 mAh battery. A microSD slot even allows you the freedom to play without connecting to another device. – The motion-activated soft LED light turns on and changes the mood and color with just a wave of your hand. 56 individual LED lights combine to make the LED panel and they dance to the beat of your music. In fact, 16,777,216 color combinations are available! Visit the official Kickstarter campaign via the link below for more details.